EVENTS/NEWS - Nicol's Blacksmith ShopDUNTROON N.Z. To view the January 2017 Newsletter, click on the Download File link below. 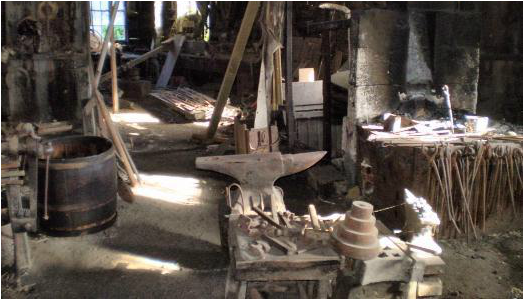 We wish to invite you to consider doing one of the one day blacksmith courses for novices. Perhaps make a course booking as a Christmas Present. Go direct to SPECIAL EVENTS page to see the details of COURSES 2017. Meridian Energy Community Fund has provided funding to enable a local sculptor, Matt King, to create a metal sculpture of the extinct "Haast's Eagle" to be installed above the Brewery Hole. at the rear of the Blacksmith Shop. Meridian Energy has supported our restoration project over many years. This support has enabled us to raise additional funding to complete the various restoration stages.